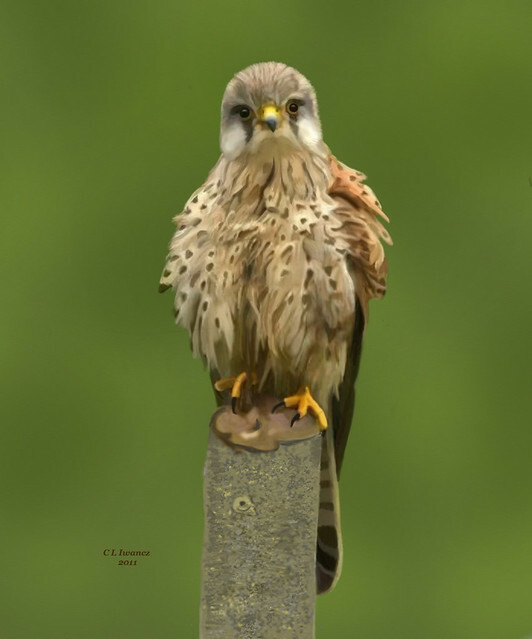 I am posting two paintings of a Kestrel one done in oil and one done with just the Airbrush. I can't quite get all the detail right using oils so thought I would try with airbrush. I know I can paint mammals but having a hard job doing feathers on birds. Full frontal is a vey difficult pose for birds but you have done very well. Try a three quarter front view or even full profile, I think it shows the bird to better advantage. Saphire... you are an amazing artist... this birds are stunning each has it's own subtle character... I think the airbrush has better feathers although the difference is quite minimal ... I really look forward to seeing each new work from you!. Thank you gxhpainter for your very kind comment. I don’t like the first better than the second. I LOVE THEM BOTH, each in its own way. They are both really good Saphire but if I was asked to choose I think I would pick the first one because of the better detail in the top of head feathers. Thank you JMMK and Limey-g for your very encouraging comments. Two fantastic paintings Christine and it would be difficult to select a favourite! 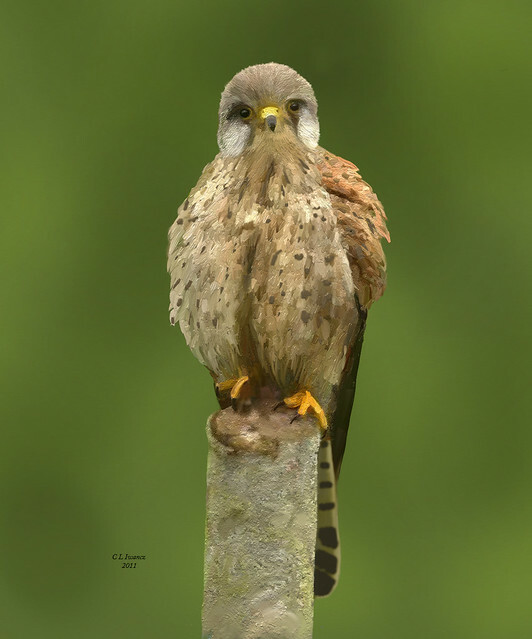 The Kestrel is a beautiful bird and you have captured it really well. Have seen many of your photos on Birdforum - well done!